If you know me well, you would know that I love all things cold: ice cold water, iced coffee, and my favorite, iced tea. I'm addicted to tea and drink it daily, and have a nice collection. Tea has many health benefits, so I'm all for drinking it! I recently came across the company Matcha Organics, which offer two kinds of culinary grade green tea products. You may ask yourself, what is Matcha? Well, it's green tea that's been finely milled into a powder. 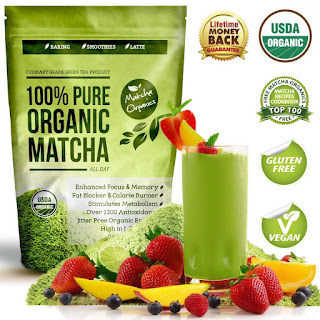 Most teas come in the form that needs to be steeped and drained prior to drinking, but since matcha is in a powder form, you're able to take full advantage of it's health benefits. The Japanese is known for their leading luxury teas. The Matcha is packed with plenty of health benefits. It's considered the world's most powerful green tea, as well as being the best quality. It's made from a natural ingredient that comes from the Camellia sinensis herb, in which it undergoes a natural and complex process that involves both stone grinding and steaming. 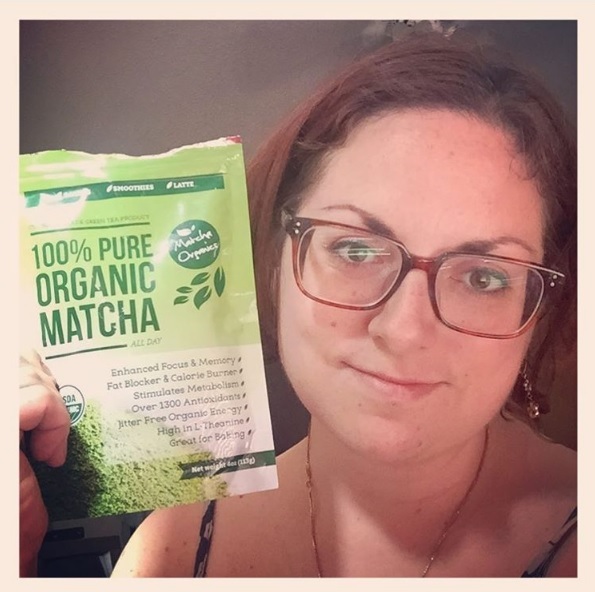 Once that process is done, the powdered green tea is vacuum-sealed into a pouch, or sealed in a tin... this keeps it from direct light, which helps preserve its natural antioxidant properties. The Japanese term “cha” means tea, while “MA” is powder. 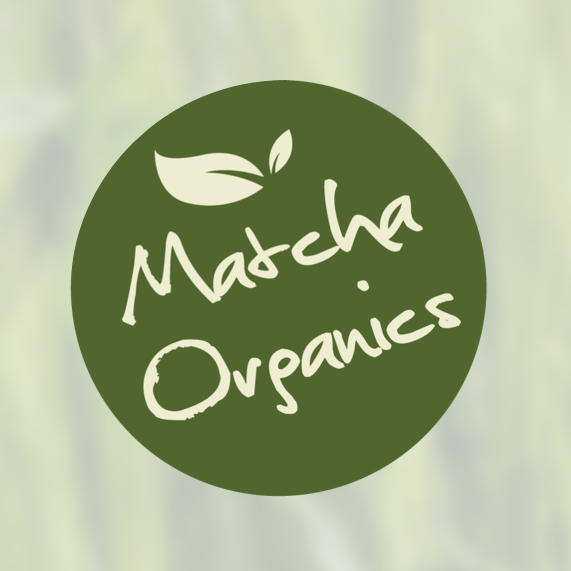 When translated, the word Matcha is literally a powdered green tea. In 1191 AD Zen monk Eisai brought the first green tea seeds to Japan from China. He then planted them on the grounds of Kyoto Temple. Eisai introduced his philosophy of grinding and consuming the leaves in powdered form. 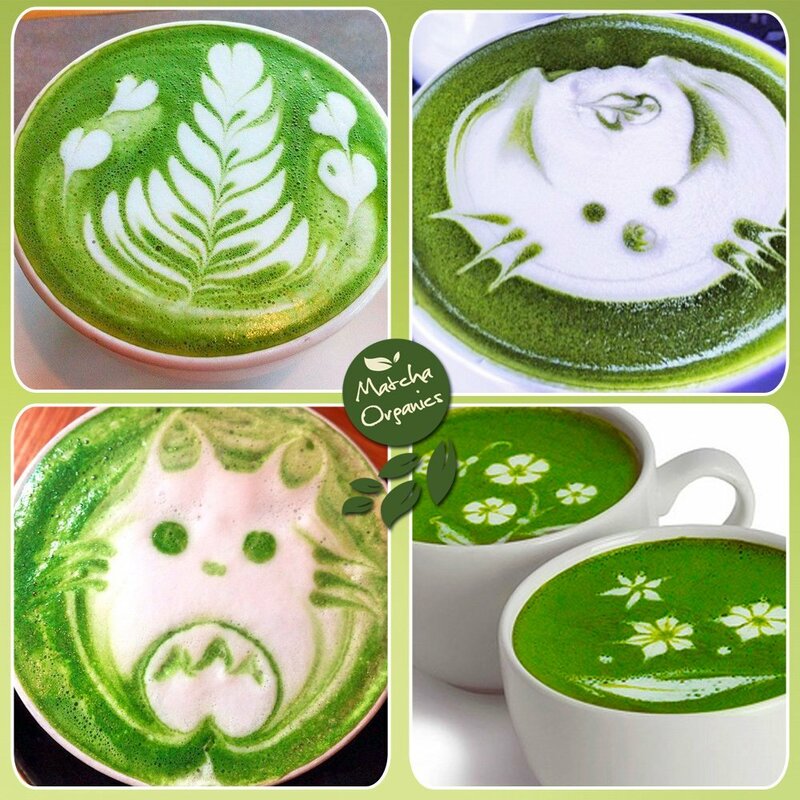 This is why Zen Buddhism and Matcha became closely bound in an exquisite tea ceremony. The ceremony celebrates the loveliness of simple things, the extraordinary in the common, and is intended to bring all participants into a blessed fellowship. The drinking of Matcha tea as the center of attraction was an ideal choice as the Matcha stimulates presence of mind, mental clarity, and a calm state simultaneously. I was sent a 4oz package of Matcha from Matcha Organics, which was purchased though Amazon.ca using a coupon code that they provided. I placed my order which was free, and I received the product in less than a week. Amazon was quick as usual, and I was excited to test out the product. It came in a resealable bag, which is the perfect size for nutrition on the go. It fits easily in a purse, bag, and doesn't take up much space in the cupboard. I must say that as soon as I opened the bag, I couldn't get over the aromatic green tea smell. It smelled so fresh, and the bright green colour is quite pretty. The company sent me an electric copy of their cookbook ebook, in which I honestly haven't made anything from it yet. 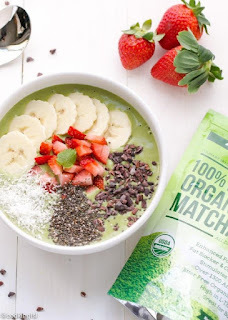 There's a few that I have in mind that I want to make, but so far I've just made my own version of their Healthy Matcha Coconut Latte. Add green tea and milk, and stir. Continue to stir while the liquid heats, and add as much honey as you like (1/2 tsp is my preference). Once the liquid starts to boil and froth, take off the stove and enjoy! The creamier the milk, the more rich the latte! Interested in buying some Matcha Green Tea for yourself? Sure you are... click here to grab yours today. Interested in checking out their Facebook, Twitter, Pinterest, and Instagram pages? Of course you do... you never know when you may come across a deal!